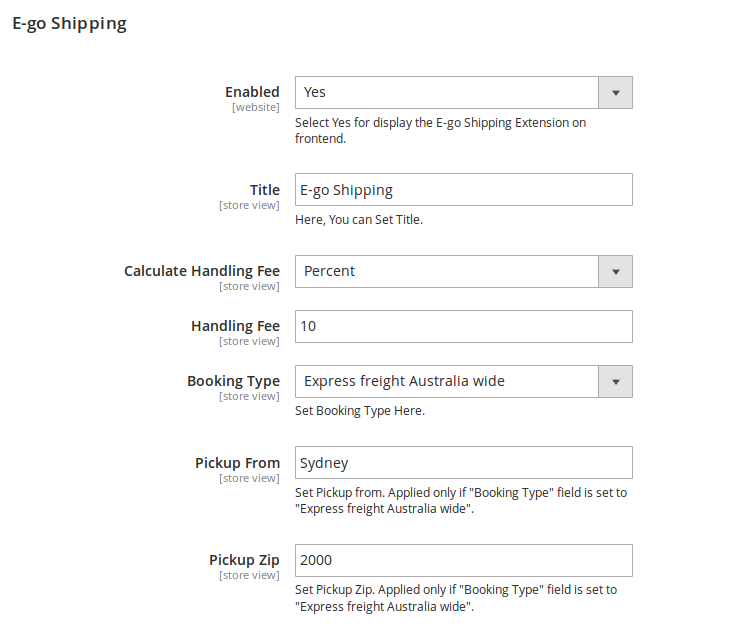 Supported Booking Types : Deport to Door And Express freight Australia wide. E-go Courier is an Australian courier company, which specializes in fast and efficient interstate parcel & courier delivery services. 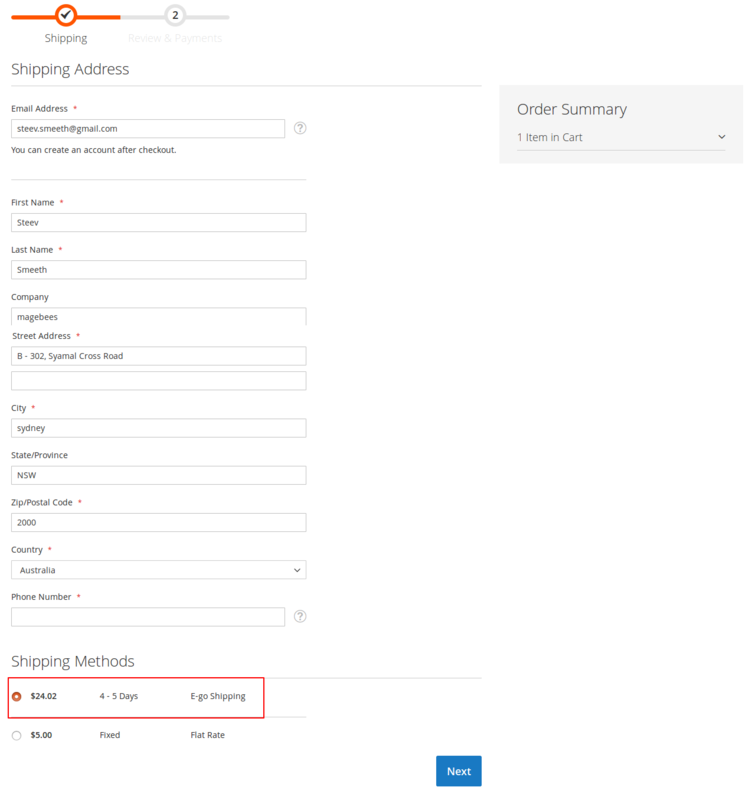 Magento 2 E-go Extension is easy to install and setup on your store. 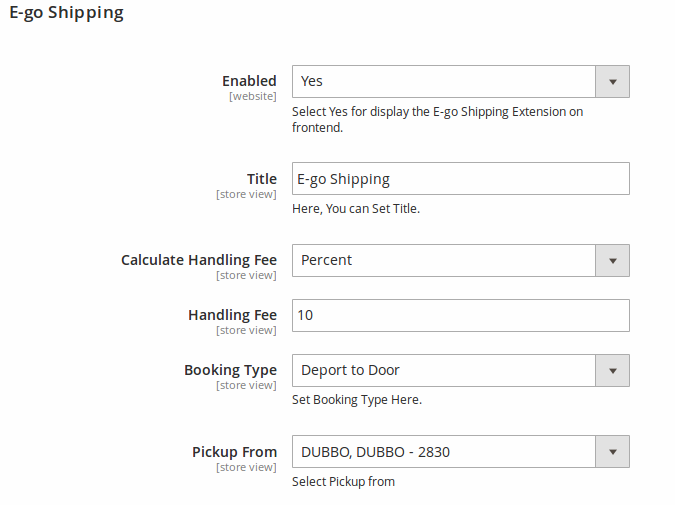 All the live shipping rates are fetched using the E-go Courier API. 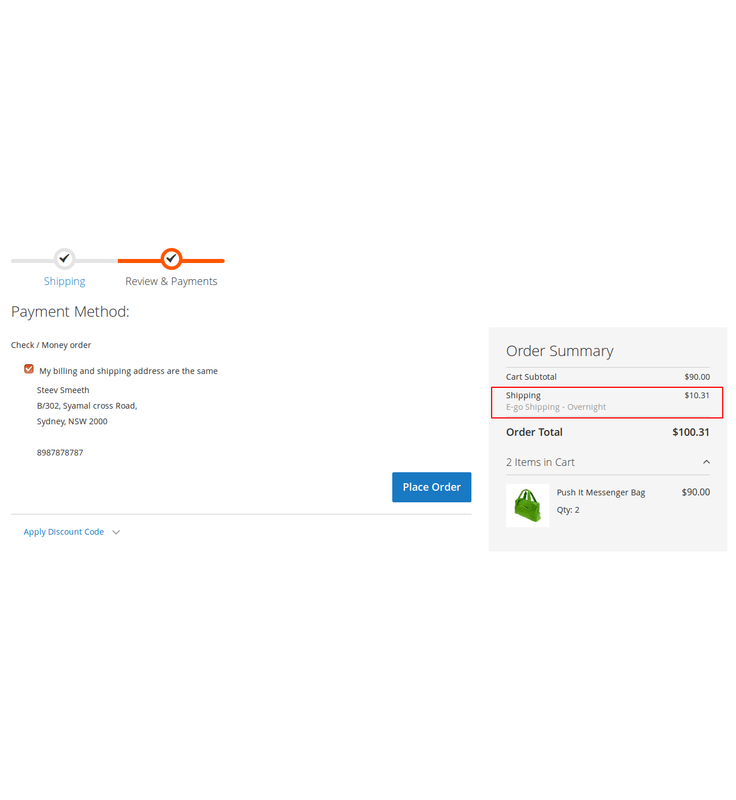 The shipping rates are calculated automatically according to the quantities, width, height, weight, depth, and distance from the pickup. The API fetches the real-time shipping charges and displays them to the customer. 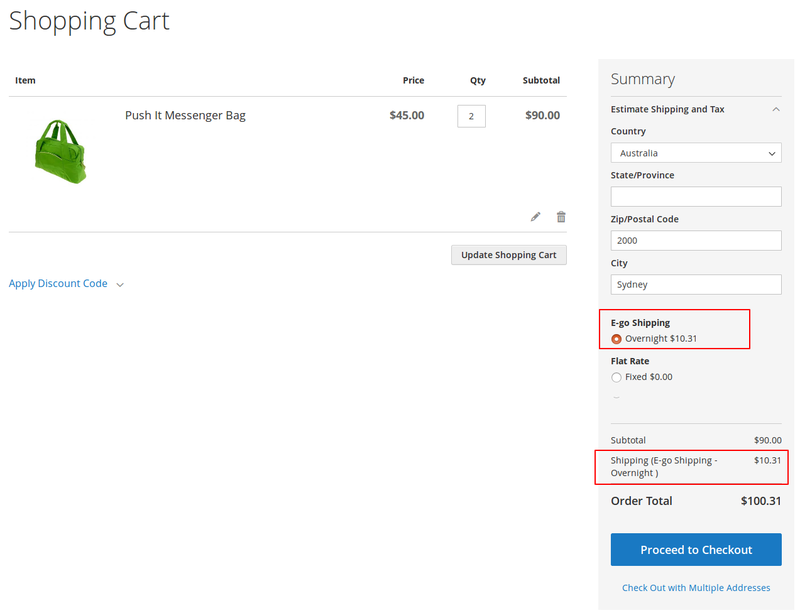 The customer can choose e-go shipping methods at the time of checkout. 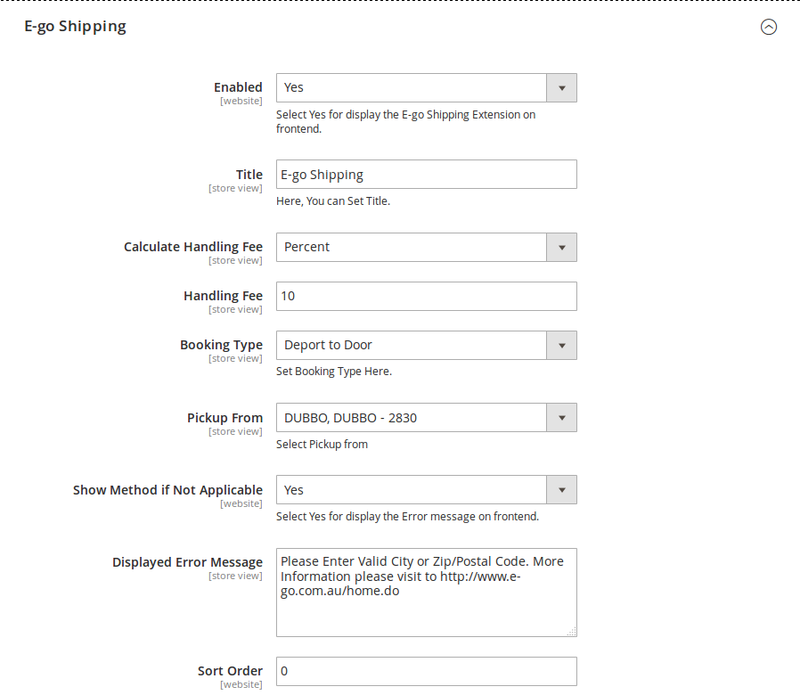 It will consider the shipping address zip code and city as a destination and calculate the price based on it. Our extension is easy to setup and gives many options to do settings from admin. 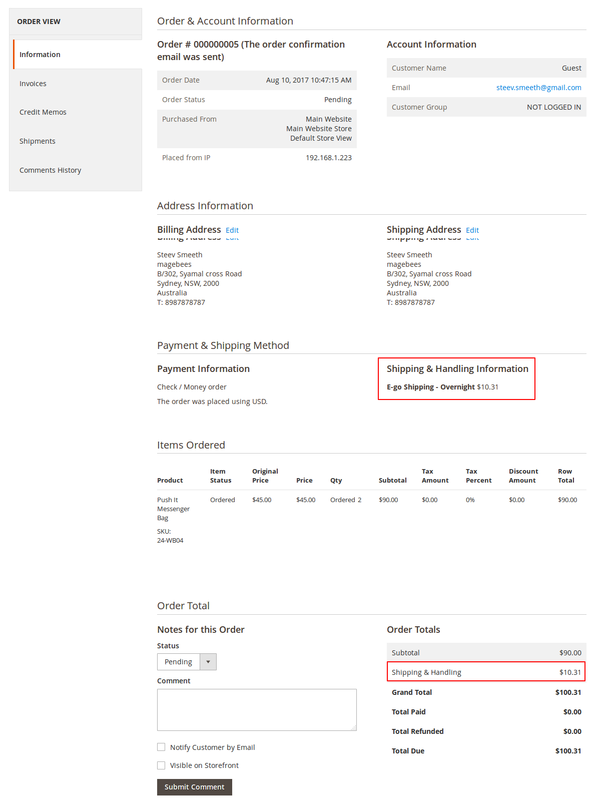 E-go provides a free shipping estimation API service. There is no need to register with E-go shipping to run this extension. 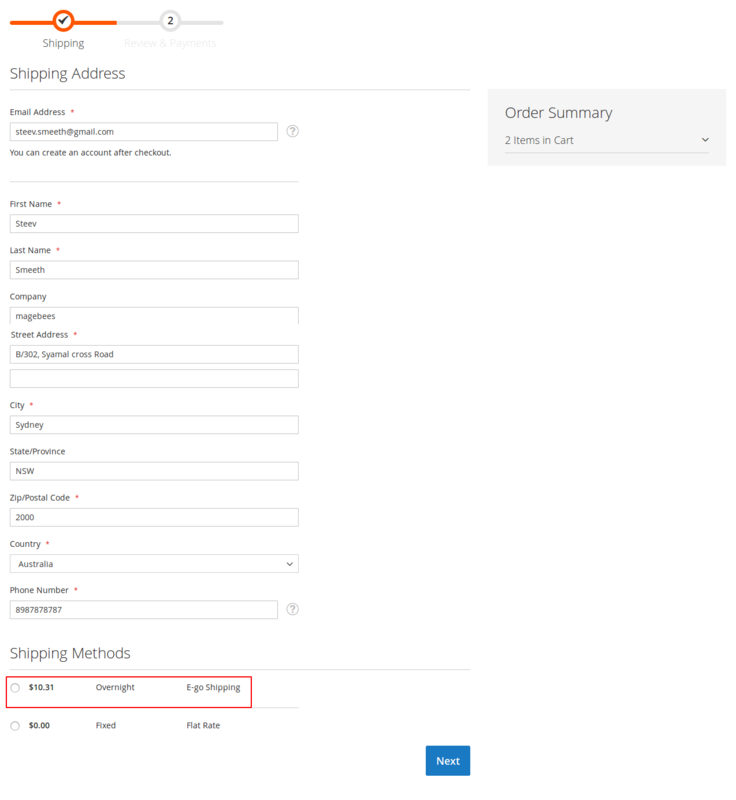 They also provide shipping calculation on their website. Settings for set title, handling fee and pickup from. Settings for set title, shipping label and pickup from. This is a really good extension making the customer experience even better.Thank you for such a nice extension ! It works perfectly. I have used this on more than 4 websites. It is my first extension, I purchased from Magebees. I searched for e-go magento extension and lucky I found Magebees. I can say that their extension is great. Its provide complete features which I am looking for. This extension is extremely convenient and simple to introduce. Works with no issue and conveys precisely what it guarantees. This extension is great with the functionality as I require, its satisfied my necessity. I also got quick help for installation. 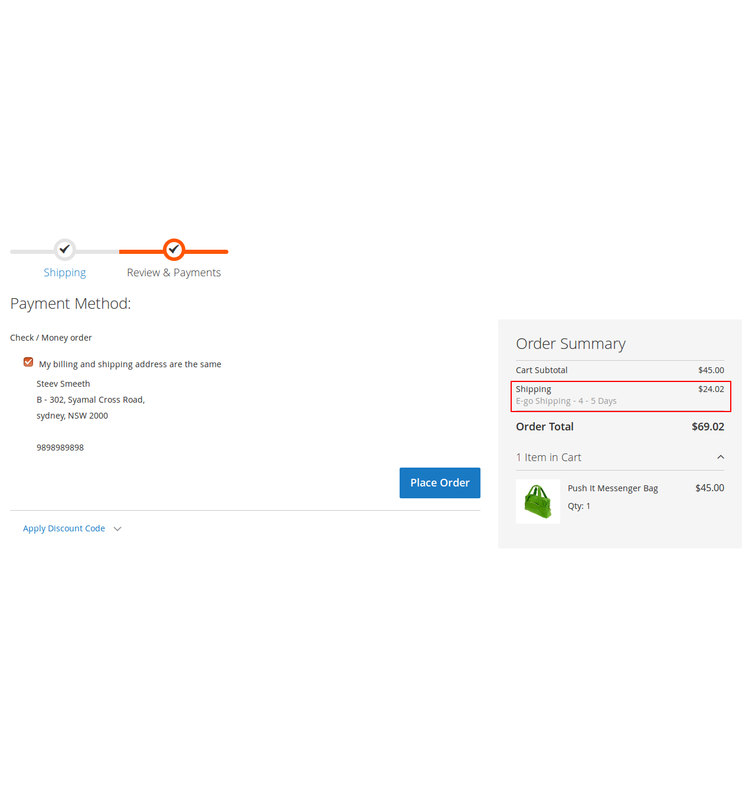 This Shipping extension saved our tons of time. Integrate well and easy to use. Solves all of our shipping problems. 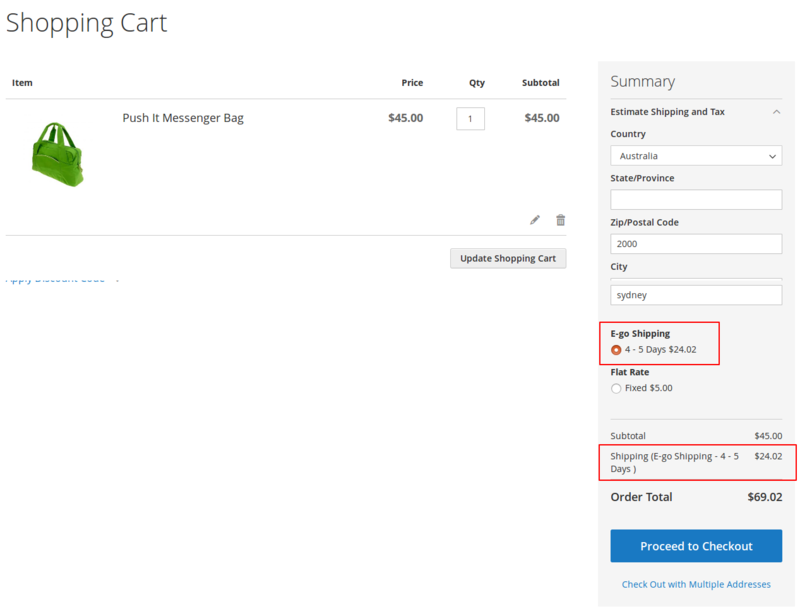 Q-1 :I have installed e-go shipping method extension but got following error. “There has been an error processing your request”. “ Please upgrade your database: Run bin/magento setup:upgrade ”.